What a great evening for a bike ride. This was spring in Boston, on a beautiful night. I had joined a Meetup ride, and a group of us were chatting afterward at a local eatery. Pamela Murray, a lovely Asian woman with a Southern accent, sidled up to me with a question. I didn’t know what she was talking about. I’d never heard of the program. But as she and John Allen described it, I thought: What have I got to lose? When I got home that night, I registered on the website. 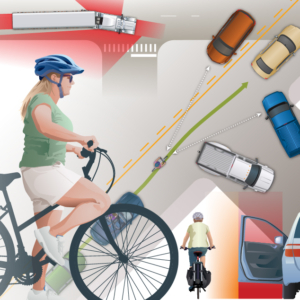 There’s a lot to a CyclingSavvy workshop. 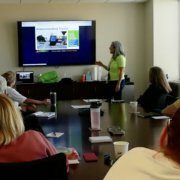 The Friday evening program consisted of short lectures, videos, diagrams of street scenes, and techniques to avoid dangerous road conditions and traffic configurations. The emphasis, to me, was on maximizing visibility — you can’t be too visible in traffic. A secondary topic was reading and assessing street and traffic patterns to anticipate potential dangers and avoid them. To this end, we discussed optimizing road position for safety and making one’s intent clear and unambiguous at all times. The Friday evening program reminded me of the United Kingdom’s voluntary Institute of Advanced Motorists program, modeled after a defensive/assertive driving course developed by the London Metropolitan Police. It taught forward-looking road positioning, awareness of other road users (motor vehicles, bicycles, pedestrians, livestock!) at all times, anticipating their intent and actions, and generally avoiding potential trouble spots. As a result of taking that course, I was rewarded with a healthy discount on my auto insurance. And not coincidentally, I had neither crashes nor close calls during the two years I drove throughout the UK and continental Europe in a right-hand-drive car. 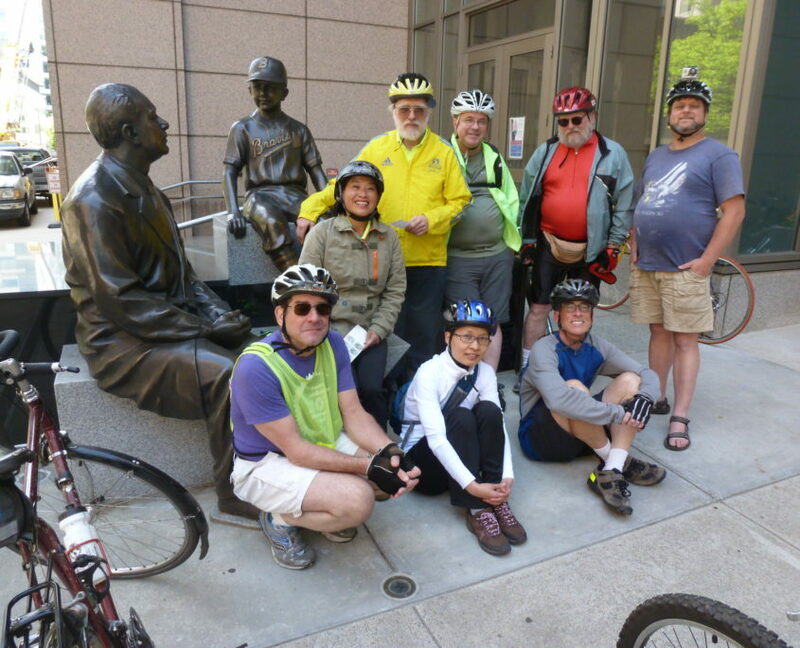 CyclingSavvy holds benefits for people from all levels and backgrounds. The six participants Friday evening represented a wide range of experience and riding skills. Another gentlemen and I had been bike commuting year-round for decades in and around Boston. One woman had recently moved from New York City. She enjoyed the Hudson River Greenway and Central Park for weekend recreational rides, but was fearful of riding on NYC or Boston streets, even in bike lanes. She had learned of the program only that morning at a Bike Week get-together. She was willing to learn whatever CyclingSavvy had to offer, as commuting by bike was her best option. 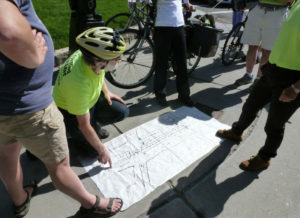 A couple of other folks had ridden occasionally in Boston, Cambridge and Somerville running errands and on weekend group rides, yet felt uneasy riding alone on city streets. Another woman, Binbin, had purchased a bicycle only a month earlier. She told me she was frightened to do anything but ride in circles in an empty parking lot on Sunday mornings. 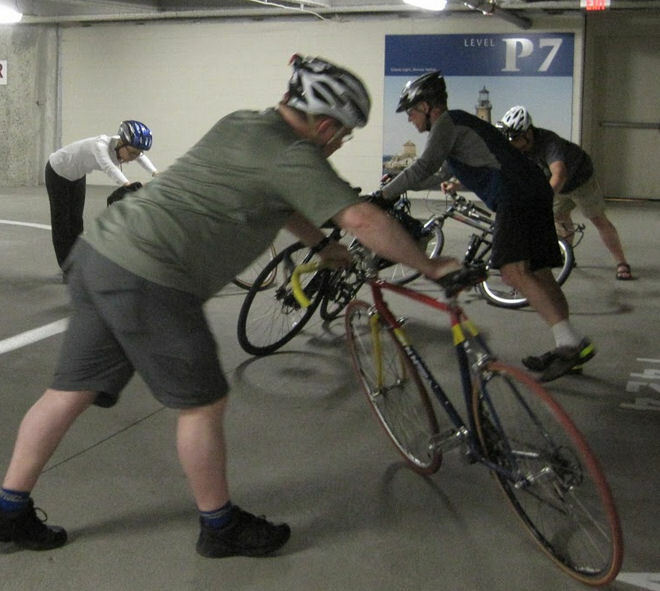 The class spent three hours practicing bicycle-handling drills in a parking garage. The first exercise was to mount the bike and start from a dead stop. Most everyone could do this effortlessly, but Binbin appeared to have no idea how to get started. At one point she said she started in her favorite empty parking lot with a gentle slope, and used gravity to gain enough momentum to stay upright. She practiced that morning until she could reliably get the bike going by pushing off on one foot. Then we spent the time practicing weaving around traffic cones, emergency stops, turns, evasive maneuvers. Binbin had a hard time with the emergency stops, but eventually got the hang of it. I myself discovered that I could do better. During emergency stops, I repeatedly skidded my rear wheel. I’ve since practiced and my stopping distance is much reduced. Among other skills in which I learned that I could improve was a quick evasive maneuver to avoid hazards like potholes, rocks, dead squirrels, broken glass in the street. On the streets of Boston. After lunch, we went out on streets, executing prescribed routes and turns both as a group and individually. We made left turns from a major street, crossed trolley tracks the safe way, and finally navigated around the huge complex of streets at Park Drive/Riverway/Brookline Avenue/Boylston Street. Here I am, doing a good job communicating with other drivers. It was impressive to watch Binbin. 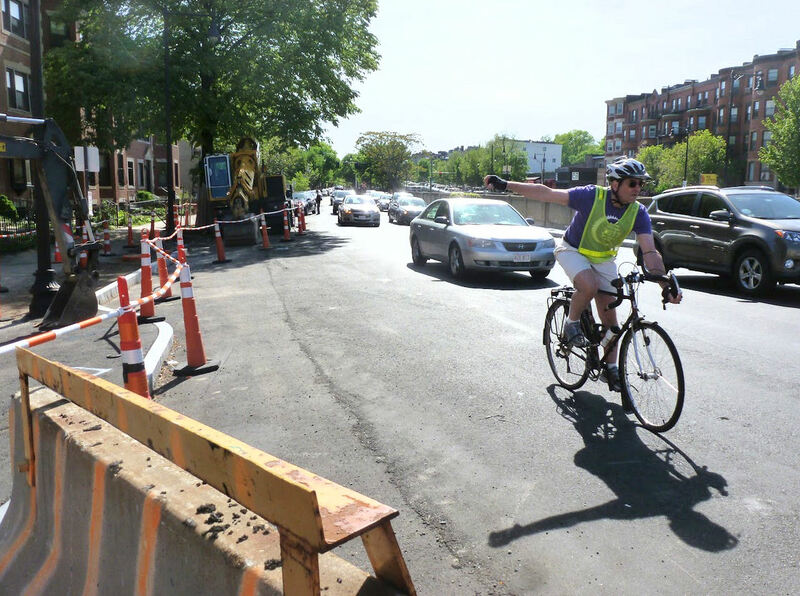 She, too, was amazed, as she negotiated the route with ease from Beacon Street to Brookline Avenue. I’d consider it a minor miracle, as a witness to her transformation between 9 AM and 3 PM that very same day. During the last exercise, Binbin even had the confidence to respond with kindness to an abusive motorist while they were both stopped at a traffic light. “Bicycles are not allowed on this road!” he yelled at her. When the light turned green, she proceeded ahead of this obnoxious driver, whose self-advertised knowledge of the law was obviously nonexistent. He offered a clear demonstration of the Dunning-Kruger effect — i.e., the less people know, the more they tend to think that they know. 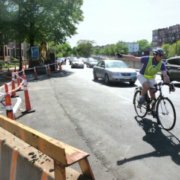 With awe I still compare and contrast the newfound knowledge and confidence Binbin developed in order to ride safely in traffic in one of the most challenging confluences of streets in Boston. 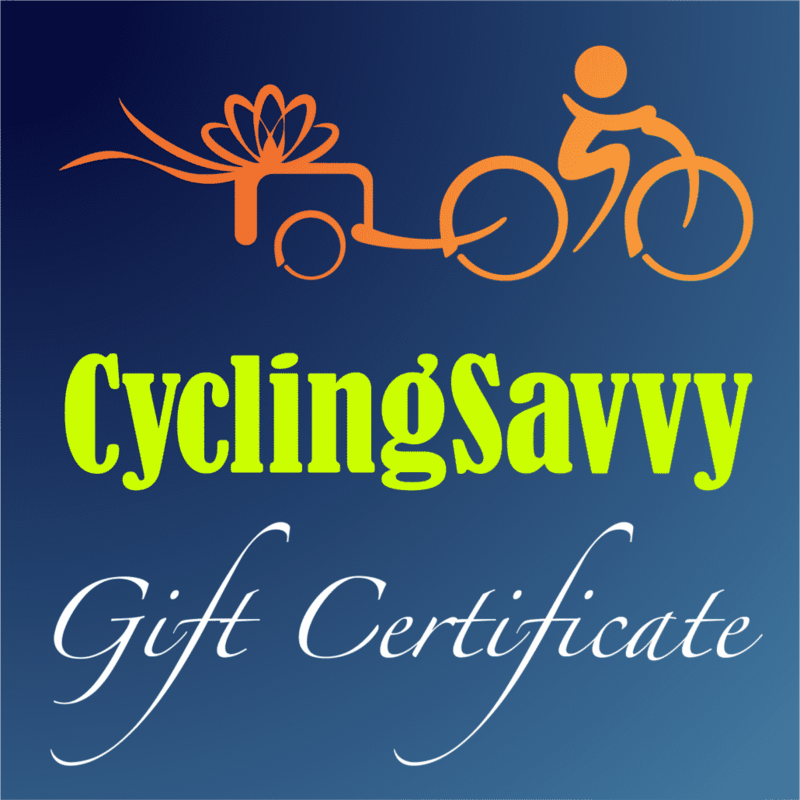 CyclingSavvy holds benefits for people from all levels and backgrounds. 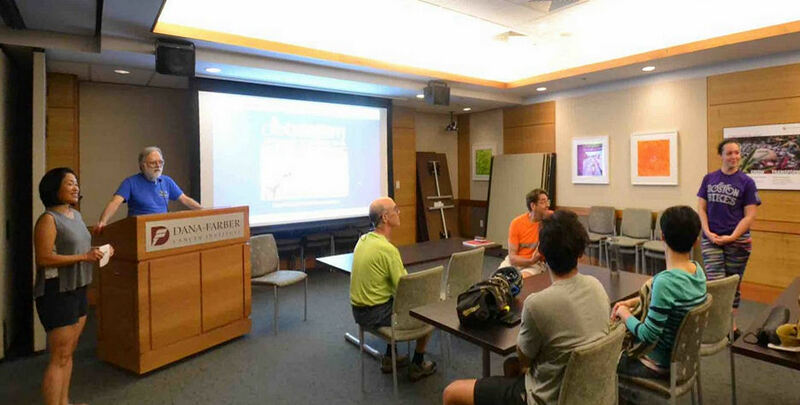 Beginners like Binbin advance to where they can ride steadily and handle everyday cycling challenges. 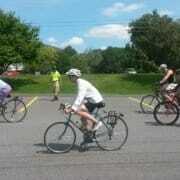 Longtime cyclists like me learn new skills that improve safety and confidence.